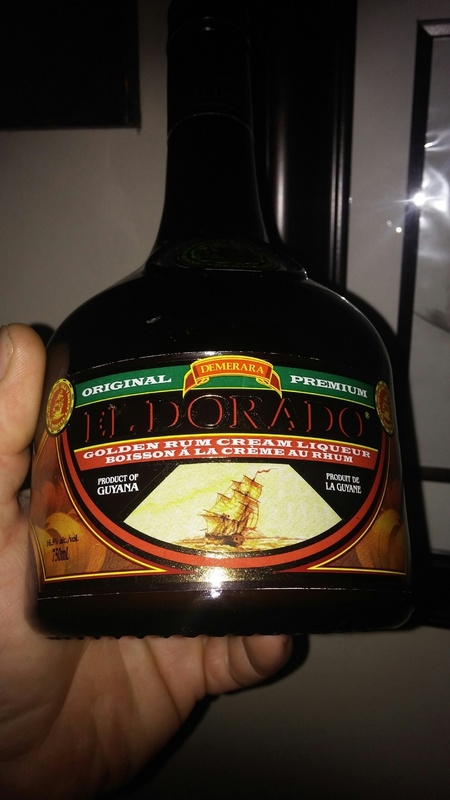 Have you found an online vendor selling El Dorado Golden Cream? A wonderful drink that all enjoy. With coffee , on the rocks or straight this is better than Baileys. The question is does it belong here? I am rating it as how wonderful it tastes as a rum drink but not as a true rum. over ice, so smooth, so relaxing. Great rum flavor. Bottle is a little small. El dorado rum cream is, hands down, a better option than Rum Chata. Try it; you will not be disappointed. Not your typical sweet-tasting rum cream. This product is fantastic! Als weicher Sidekick zum Kaffee. As a soft sidekick to the coffee. Of all the cream liqueurs, I think this has the best flavor (and I'm of Irish blood). Something I look forward to in the winter months. I also use it as a secret kicker in a couple of cocktail recipes. No hint of bitterness, not too sweet, and works nicely with coffee. Title says it all, this is a delightful addition to a good strong cup of good coffee. Personally I prefer it to Baily's Irish cream. But I think that it just comes down to personal preference, worth a try. So I previously rated this a 4/10 when I got a hint of bubble gum, but then decided that I didn't taste test it on fair grounds, so I gave it another go after chilling it in my fridge for a couple of days. It essentially tasted like a sweetened cream with no other characteristics. The rum content is also very imperceptible. On the plus, it has inspired me to make my own concoction at home, but other than that, it contributed nothing else to my life. I'll stick to bailey's/panama jack's/Cartier Irish cream for my creamy liquer fix. Sugar: 95 gpl. Much like other cream based liqueurs the sweetness smothers the rum taste. This has the sweetness and aroma of Caramel along with the usual chemical trailer found in cream liqueur concoctions....plus a bland trace of rum. However, if you add some good mixing rum like Plantation or Appletons the drink steps up to be worth a second glass! On it's own it is run of the mill. I would not purchase this again. Yes, when others break out the egg-nog and Bailey's, I stock up on this. Fortunately, I haven't overdone it (yet), which you can easily do with these sweet liqueurs. Not as interesting as cream liqueurs such as Voyant Chai or Rumchata, but a pretty solid one and a step up from the likes of Bailey's.